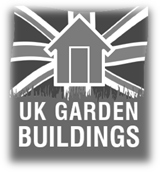 Welcome to UK Garden Buildings. 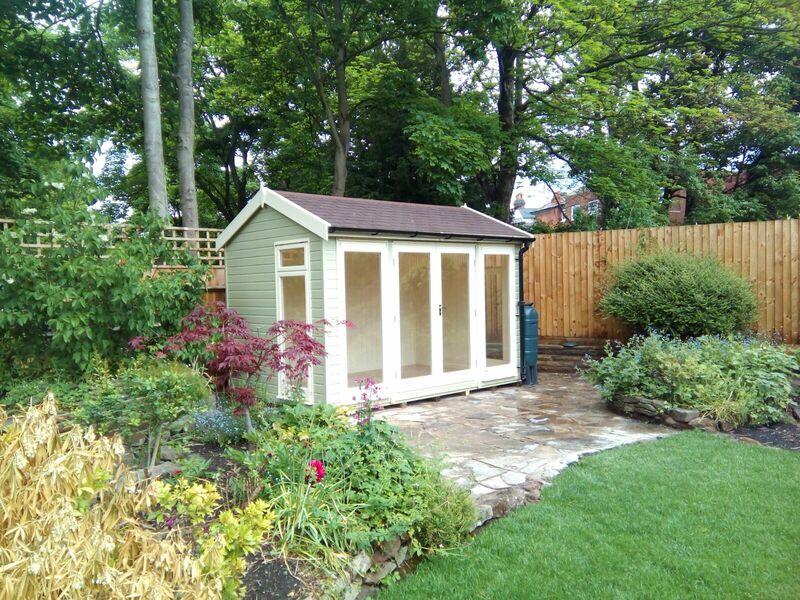 We manufacture & supply timber garden buildings including Sheds, Summerhouses, Playhouses, Storage Solution and beautiful home offices/garden rooms. 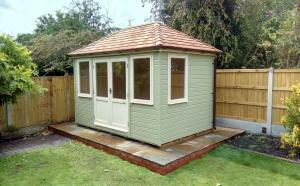 Our beautiful range of Elite Home Offices/Garden Rooms are available to use throughout the year. 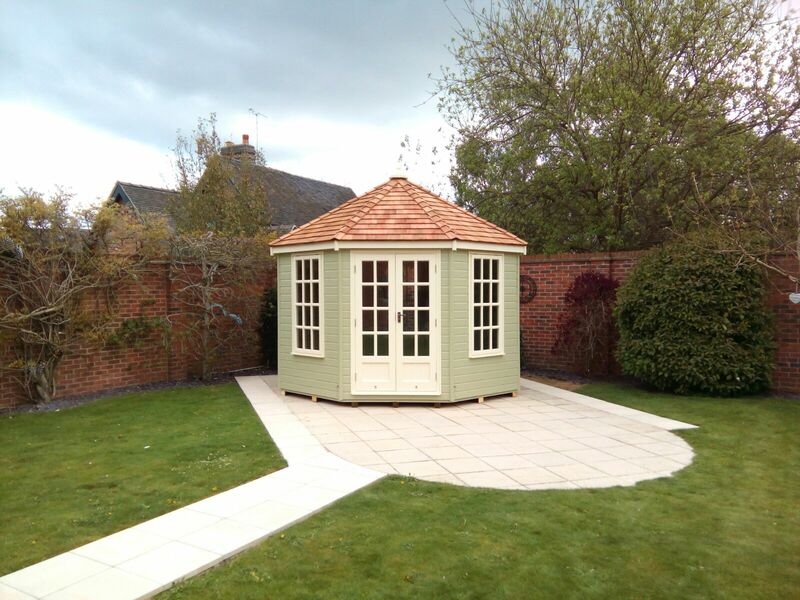 From the contemporary Dalbury to the traditional Radbourne we have a building to suit your garden. 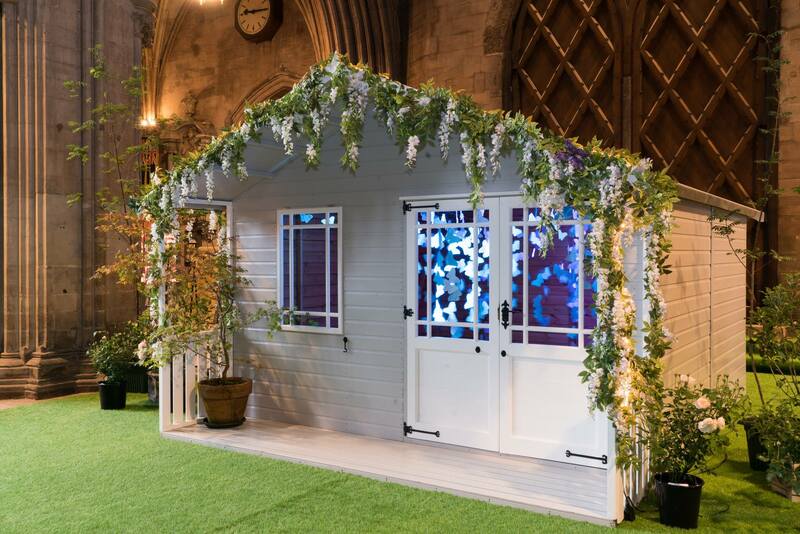 We manufacture quality sheds, summerhouses and playhouses at our site in the UK, please let us know however if you would like something more bespoke. 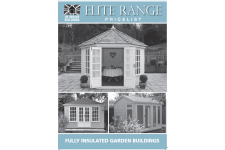 Our buildings are made in Staffordshire, we pride ourselves on quality and service. 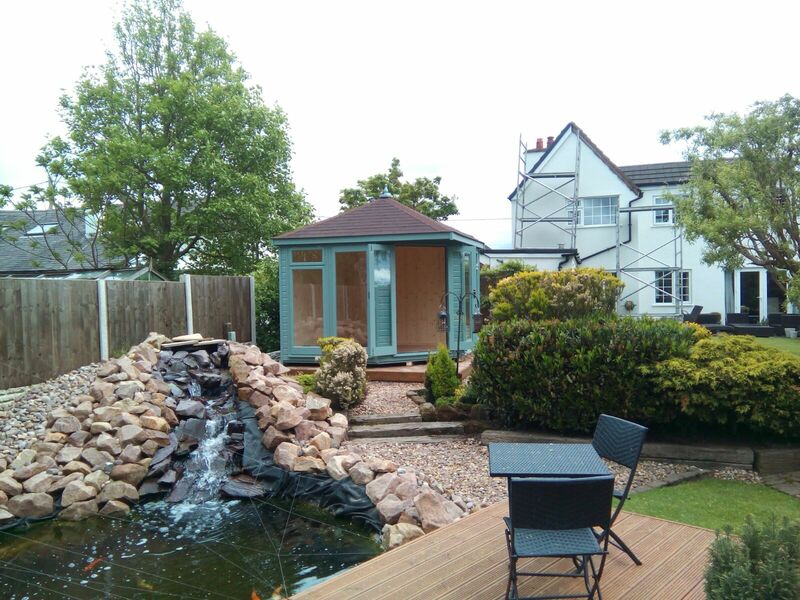 We can create the perfect garden building for you - including a special size if required! 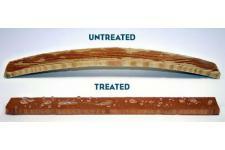 Please contact us we can help. Ready to use, with no hidden add-ons. We make your building ready to use complete with a lock! 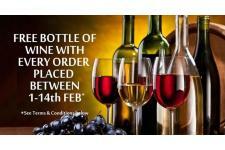 You don't need to spend time ordering extras! 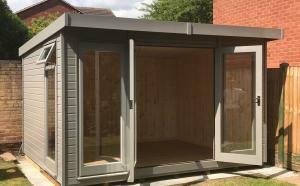 Insulated and double glazed to provide all year round use, ideal for a home office/garden room. 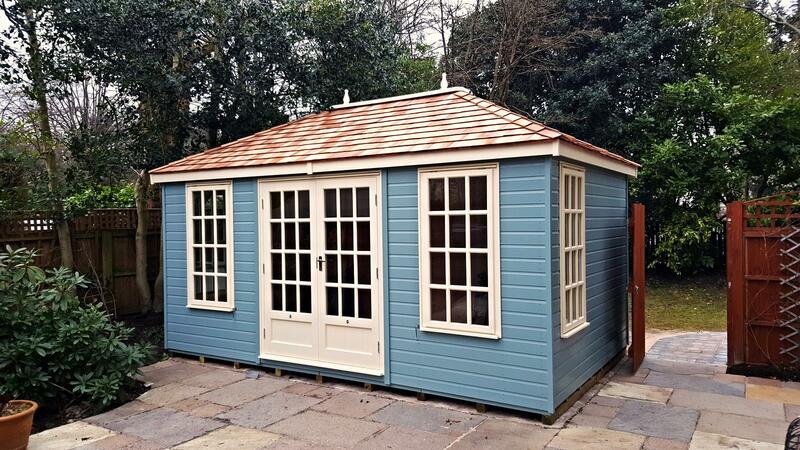 Quality Summerhouses, choose from the contemporary style of the Denby, the traditional Burnthill and why not have it factory spray painted, choose from over 30 colours. 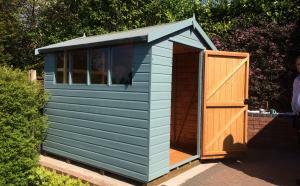 We have a huge range of sheds to suit all your needs, from storage sheds to proper "man caves", most buildings can also be made to a bespoke size. 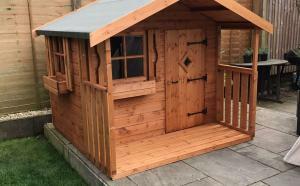 We manufacture two-storey and single storey playhouses all to British Trading Standards and CE Standards. Get in touch with us for more information. Small garden but storage needed? 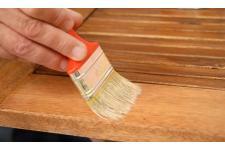 Have a look at our Tool Stores and Handy Stores, consider having it Factory Spray Painted to add that special touch. 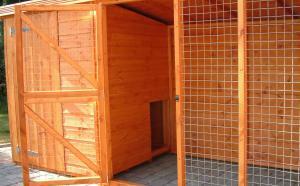 We have a range of kennels to suit your pet needs either with runs or stand alone. 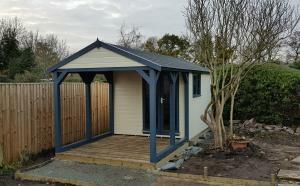 We’ll fit your garden building, all included in the price (except the Popular Range of Sheds - fitting extra)! 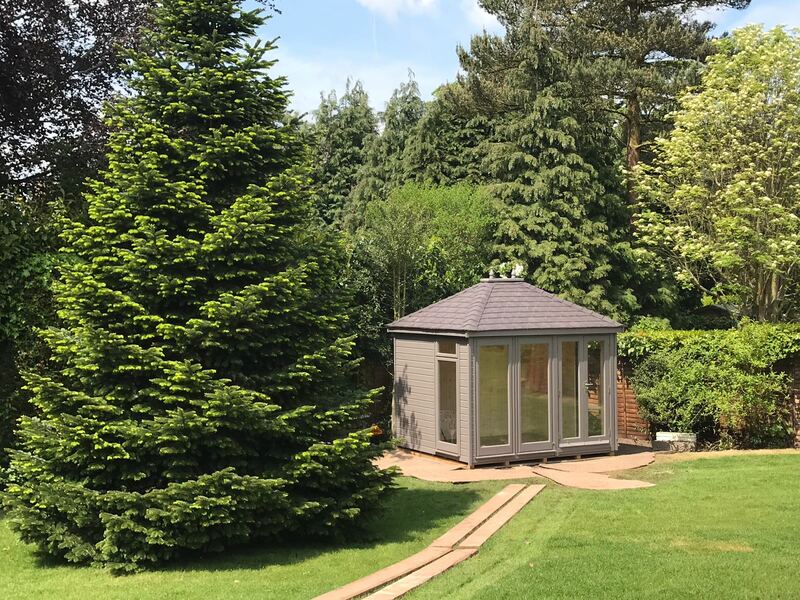 All our products are built to the highest quality using tongue and groove shiplap and matchboard (including the floor and roof). All of our prices include fitting and VAT! 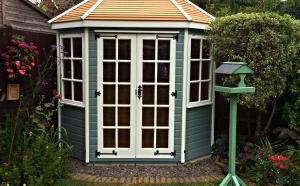 Except for the POPULAR range of sheds - Fitting is optional extra!